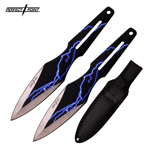 This Kunai throwing knife features a full tang stainless steel blade with a cord wrapped handle. 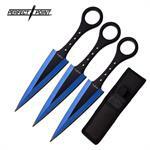 9" 3 pc Throwing Knife Set. 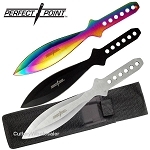 3 Knives 3 Colors: Rainbow, Black & Silver. 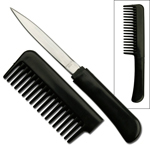 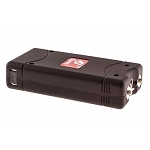 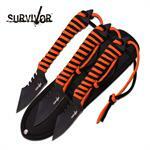 Includes black nylon sheath. 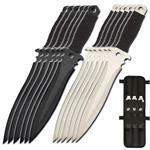 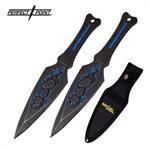 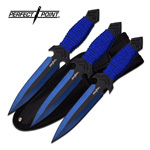 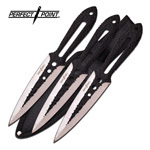 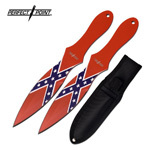 Perfect Point 9 Inch Length 2 Piece Throwing Knife Set Lightning Bolt Throwers. 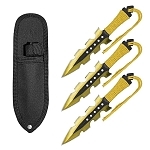  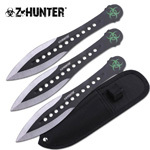 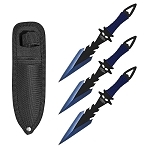 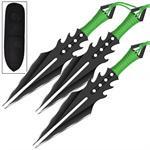 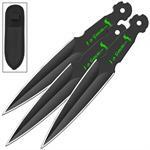 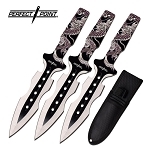 Three Piece Ninja Sword Kunai Throwing Knife Set. 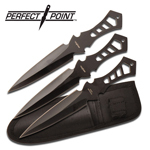 Overall Length: 26.5 Inches (Ninja sword), 6.5 Inches (Throwing knives). 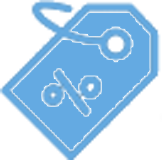 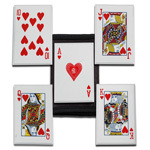 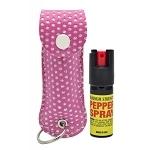 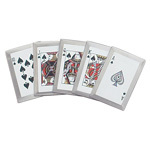 Includes: Free Nylon Case with Belt Loop.